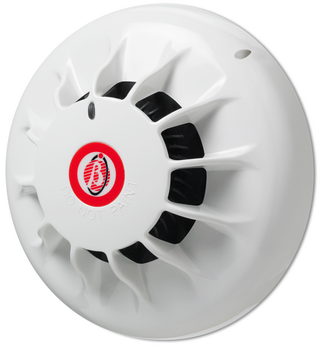 601P detector is capable of detecting the visible smoke produced by materials which smoulder or burn slowly, i.e. soft furnishings, plastic foam etc;. or ‘smoke’ produced by overheated but unburnt PVC. These detectors are particularly suitable for general applications and areas where cable overheating may occur e.g. electrical services areas.